We currently have six ongoing clinical programs and multiple ongoing preclinical programs. In addition, we have completed our Phase 2 trial for acne indication and expect to begin enrolling patients in two Phase 3 studies for this indication in the first half of 2019. 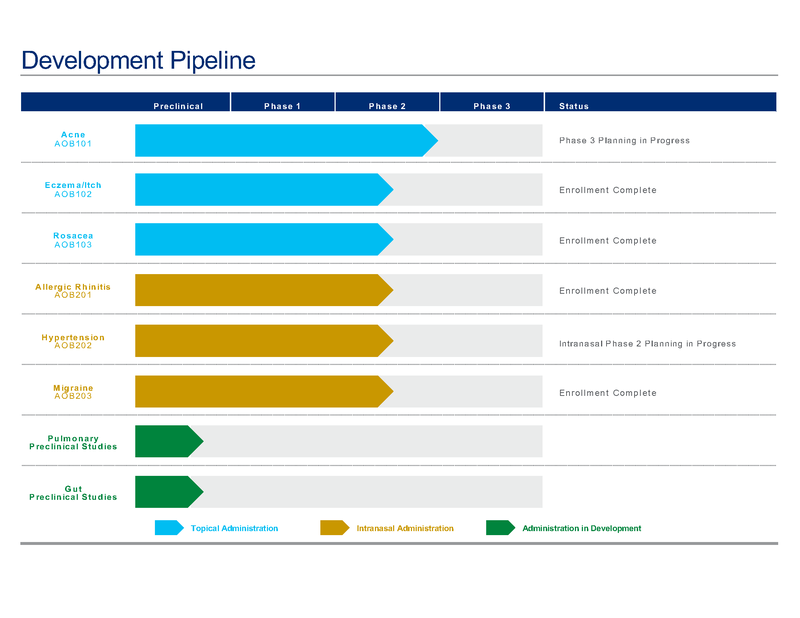 Our other five programs are all in Phase 2 development. As of the Latest Practicable Date, over 657 patients have been enrolled in randomized double-blind placebo controlled clinical trials evaluating topical and intranasal routes of delivery of AOB with treatment durations ranging from two to 12 weeks.